Tom Brady did not defy age this season, he knocked it down and left cleat marks. 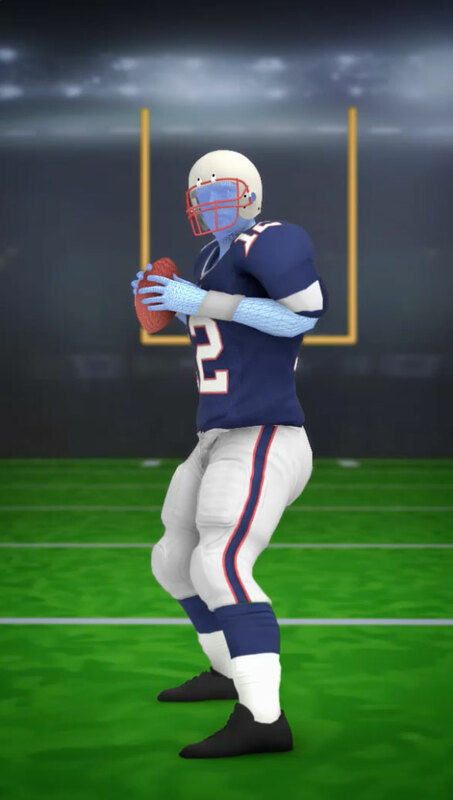 The quarterback’s age-39 season was statistically among the best of his 17-year career with the New England Patriots. His 2016 passer rating, a complicated mash-up of metrics the NFL uses to measure quarterbacks, is tied for 10th best all-time in a season, at 112.2. He bettered that rating only once in his career, in 2007, when the Patriots became the first NFL team to win all 16 regular season games. What’s maybe most remarkable about his 2016 performance is that it came at an age by which many other luminaries of the position — Dan Marino, Joe Montana, and John Elway, to name three — had already retired. It can’t be escaped, but it can be put off a while. 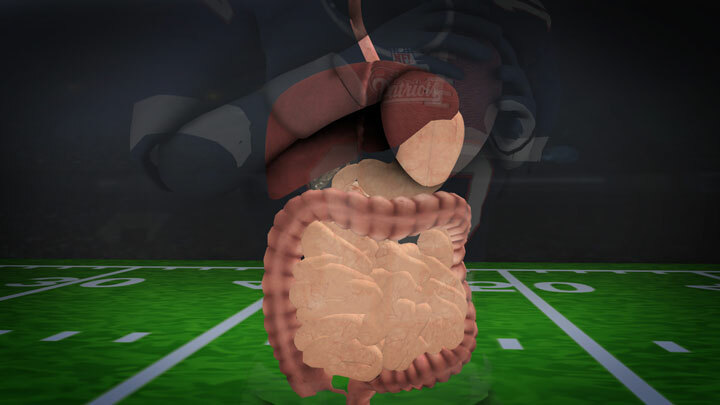 Here we break down, body part by body part, what science suggests the average 39 year-old human encounters, and just how Brady might be defying those expectations. Keep reading below that for how NFL rule changes have advantaged Brady plus what some previous greats of the game — Warren Moon, Steve Grogan among others — say about his longevity and just how long he could play. Brady has brushed off questions about how many concussions he has suffered, but the answer appears to be comparatively few, if any, downplaying the chance he suffers from the headaches or mental fogginess — or concern about his long-term neurological health — that has pushed other players into retirement. Another advantage behind Brady's lasting success? He has played for one team and one coach for so long. Quarterbacks need a few years to learn and execute their teams' offensive strategies. By staying put, Brady has been able to hone his mastery and maximize it rather than starting fresh with a new team every few years. These skills are built up subconsciously, but experience could even help explain why Brady appears to faster on his feet as he ages. His reflexes may not be sharper — although improvements in his fitness could help his speed overall — but he now has a better sense of how a lineman will try to sack him and how to avoid that. Exercise experts talk about V02 max, which is a measure of how much oxygen the muscles can get and use. V02 max falls as people age, in part because the heart rate slows. That means there is less blood flowing through the body, and thus less fresh oxygen for the muscles to take up. But some athletes, it turns out, can maintain their V02 max longer because their training strengthens their heart muscles. Even if it beats less often, the heart is able to pump more blood — and more oxygen — with each single beat. What’s more, football is a sport with lots of breaks baked in, giving players a chance to recover. 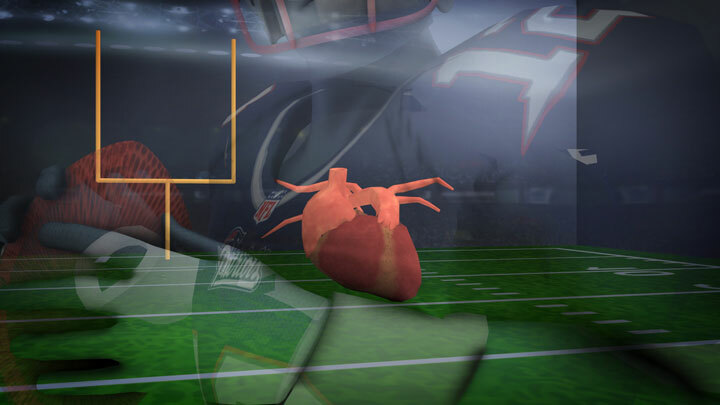 A throwing quarterback like Brady can probably keep playing well even if he loses some cardiovascular endurance. 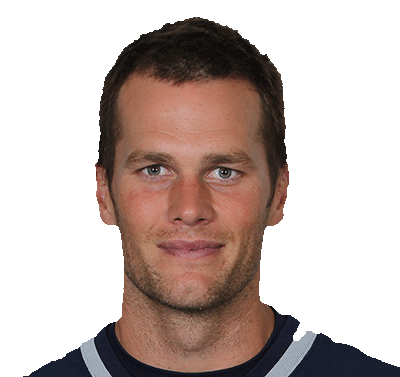 Brady’s quarterback rating this year is second only to his 2007 season, when he threw 50 touchdowns. In other words, he can still throw the ball just fine. Muscle mass, however, does start to wane when people are in their 30s. 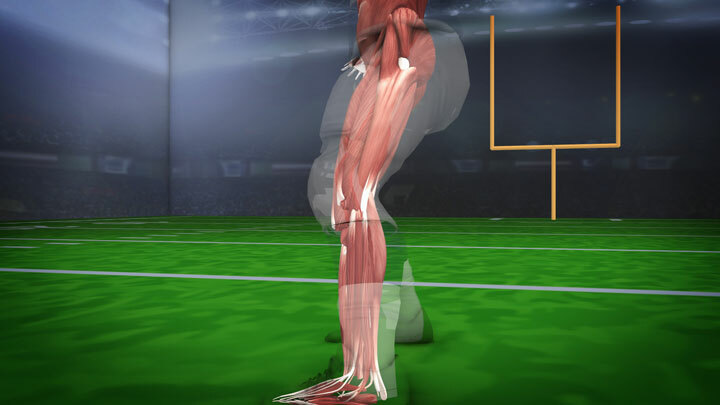 With a regimen like the one Brady sticks to — with resistance training and flexibility exercises — that loss can be staved off or at least slowed, according to Barbara Bushman, a professor of exercise physiology at Missouri State University. “If we do strength training, strength is able to be maintained,” Bushman said. 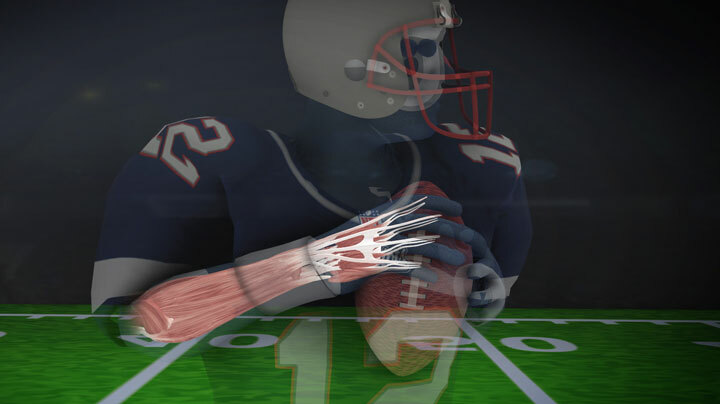 “We have to use our muscles, we have to stress them, if we want to function well.” Plus, fast-twitch muscle fibers tend to get weaker earlier than other muscles, and those are not has important for Brady’s throwing arm as they are for a running back who needs explosive power to dodge defenders. 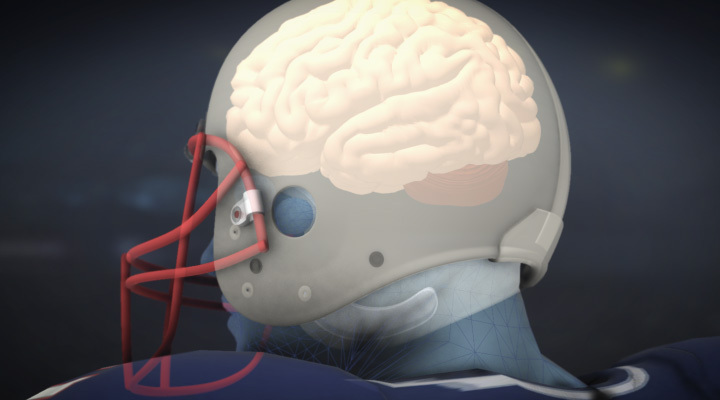 Brady’s food and beverage habits are not always backed by science — no, that sports drink won’t help you avoid a concussion — but the fact is, he eats a very nutritious diet that helps maintain his overall health. One challenge for Brady — and anyone in their 30s: While muscle mass and bone density can be maintained with the right training, it’s harder to keep off the body fat that begins to build up around then, experts say. Starting around that age, people will naturally see about a 2 percent increase in their body fat each decade, Bushman said. Brady has never relied on his legs as an offensive threat — which may be one reason behind his impressive stats today. His style of play (i.e. largely staying in one place) could circumvent some of affects from the muscle-mass loss, bone density, and cardiovascular endurance slowing down peers his age. Those natural processes are further decelerated by his rigorous training regime, which also lowers his risk of injury. Brady ran an infamously slow 40-yard dash at the 2000 scouting combine, but chances are any speed he’s picked up since then has come from training and overall fitness, not some genetic factor that increased his speed as he aged. And that torn ACL that forced Brady to miss nearly all of the 2008 season? There’s been little sign of it since his return. 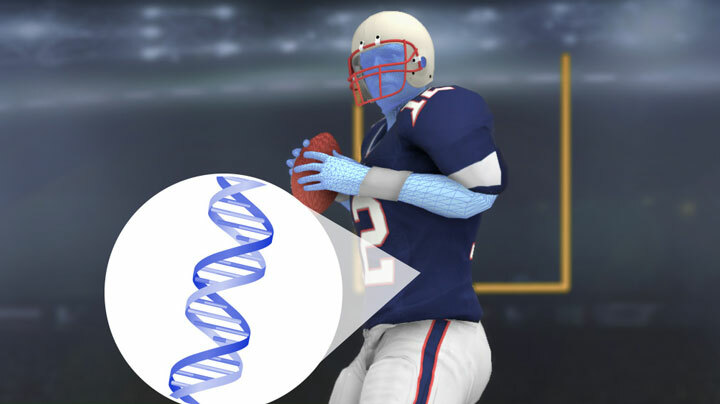 No, we haven’t sequenced Brady’s genome. Yet even if we had, we probably couldn’t tell you much. Brady’s DNA does enable him to be bigger and faster and stronger than many of us. It may even help explain his dedication and ability to excel under extreme pressure. But it’s not one or even a few dozen specific genes that help him with that. Instead, hundreds, if not thousands, of genes — and how those genes are turned on and off — determine features like body composition, according to Stephen Roth, a kinesiology professor at the University of Maryland. 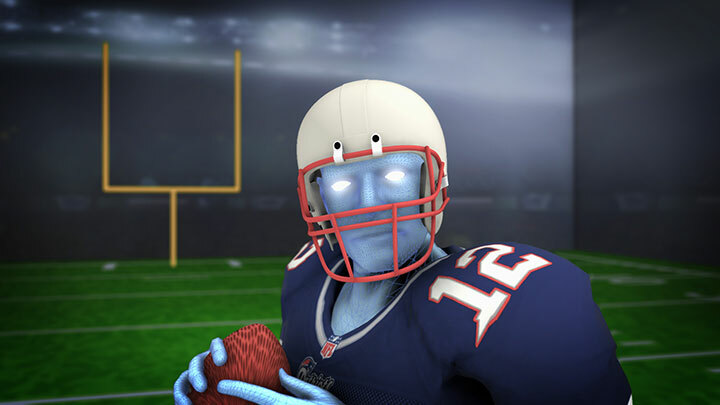 Simply put, Brady likely doesn’t have a superhuman mutation tucked into his genetic code. 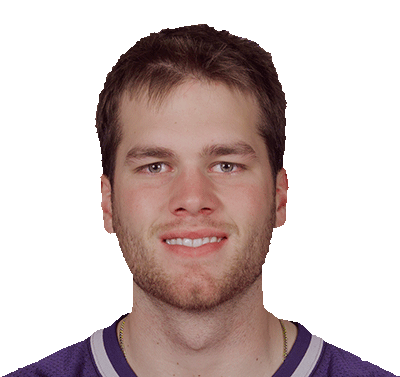 It’s also possible that Brady’s genetics could explain in part why he has been able to play nearly into his fifth decade. Just as a healthy lifestyle can keep one’s “fitness age” below biological age, some experts believe people have internal aging clocks that tick away at different speeds. “We’re just beginning to understand the aging clock, but there are people who have clocks that go slower,” said Stuart Kim, a professor emeritus of developmental biology at Stanford who researches genetics and sports. NFL rules changes designed to protect quarterbacks may also be contributing to Brady’s longevity. By the mid-1990s, team officials realized that the quarterback, “the key member of the team and often the most highly paid player,” was also “the most vulnerable player on field,” said Mike Pereira, a former NFL director of officiating, now an analyst for Fox Sports. New rules sought to reduce particularly dangerous blows to the quarterback’s head and knees. Grogan played until age 37, but did not start more than six games in any year after his age-30 season. His medical record reads like a Stephen King novel: five knee surgeries; screws in his leg after the tip of his fibula snapped; a cracked fibula that snapped in practice; two ruptured disks in his neck; a broken left hand; two separated shoulders on each side; a detached tendon in his throwing elbow; and three concussions, according to a partial list of the former quarterback’s football injuries tabulated by the Globe in 2003. Brady has mostly avoided serious injuries, beyond a 2008 ACL tear that cost him 15 games and inspired an NFL rule change to forbid defenders knocked to the ground from lunging into the quarterback’s lower legs. He expanded on those thoughts in a 2015 New York Times story: “If there’s so much pressure, just constant tugging on your tendons and ligaments, you’re going to get hurt… Like with a kid, when they fall, they don’t get hurt. Their muscles are soft. When you get older, you lose that.” Brady is also known for his obsessive “anti-inflammation” diet, which avoids white sugar and flour, dairy and caffeine, as well as things widely considered healthy, such as most fruit, tomatoes, peppers, and mushrooms, his personal chef told Boston.com last year. Injuries can compound as a quarterback ages, said Moon, who was in the NFL until age 44. Moon considers himself “very lucky that I only had a couple of different fractures. I never had anything major, like a major knee injury or major shoulder separation in my passing arm. You look at Peyton Manning and the neck surgeries he had over his career. It was amazing he was able to come back and play the way he did. But at some point that’s going to catch up with you. And you saw when he kind of hit the wall, it went fast.” Manning retired at 39 after a 2015 season in which his team won the Super Bowl but he finished with a career-low passer rating.